AZMagicPlayers.com 2014 Legacy Series Championships! We are very excited to announce this monumental event. Nearly a year in the making, the AZMagicPlayers.com 2014 Legacy Series will conclude with the AZMagicPlayers.com 2014 Legacy Series Championship! This event will be hosted at Desert Sky Games on September 6th, 2014. Round 1 will begin at 12:00pm. The prizes? 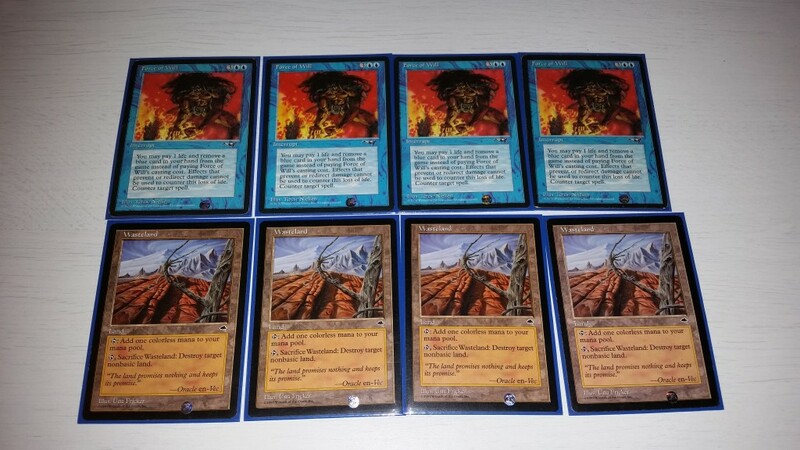 4 Force of Will or 4 Wasteland to the Champion, with the remaining playset going to the runner-up! The rest of the top finishers will receive store credit. The entry fee will be $30, or $15 if you have 10 or more Legacy Series Points! Lastly, we will also be crowning the AZMagicPlayers.com 2014 Legacy Series Player of the Year – the player with the most Legacy Series Points – at the conclusion of this event. The AZMagicPlayers.com 2014 Legacy Series Championships will be awarding double the normal amount of Legacy Series Points, so playing in the Championship will be more important than ever in getting this award! We just want to thank everyone for the support over the past few months and we hope to see you at future events! For more details on the AZMagicPlayers.com 2014 Legacy Series, please view our minisite here.